All of these have grip handles and the floor is non-slip. 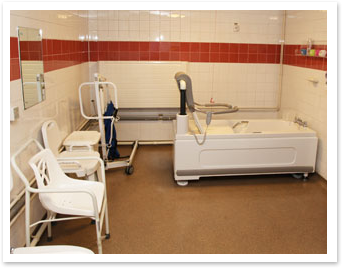 Service users have to be able to take their own weight, with a care worker’s help and to stand and transfer from the wheelchair to the shower or bath seat. The Centre provides towels, flannels, soap, shampoo, hair conditioner, bath cream and shower gel, shaving foam and razors.